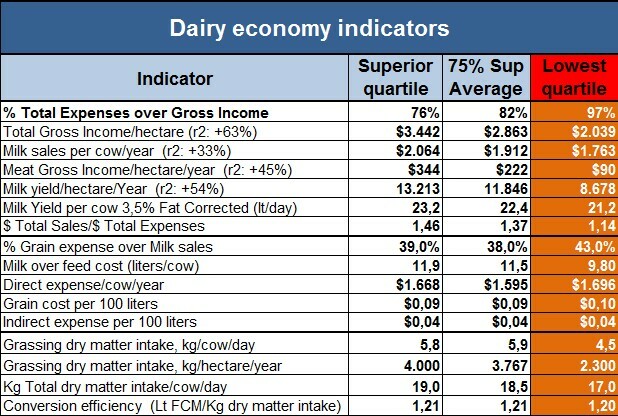 Commercial milk production, arises from a business decision to combine the resources and inputs to achieve the most convenient way to obtain economic rent. This ability to combine resources and inputs is bounded by the climatic characteristics of the environment where the activity takes place. Whereas the cow is a ruminant and has the ability to process indigestibles fibers for human being and turn them into milk, every time we get further away from the fibers diets (grass, silage, hay) we add cost to the business. 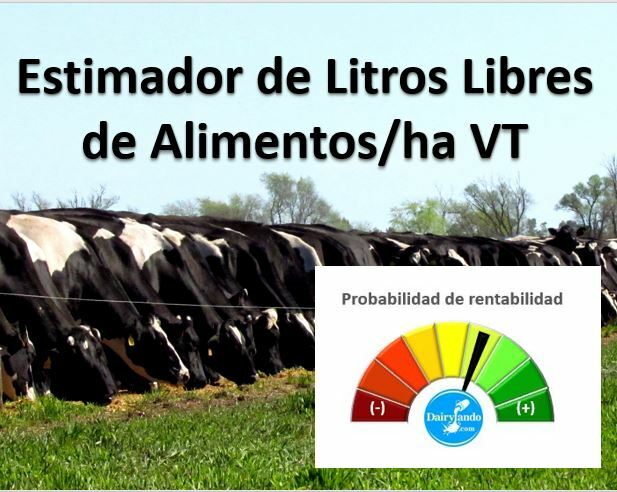 Argentina has a large area of agricultural land and a temperate climate that allows to grow two crops per year and also the possibility of keeping cows on pasture year around. Making a stratification of CREA dairies, companies that produce 10% of the country’s milk, we note that almost all the farms use pasture in some extent. 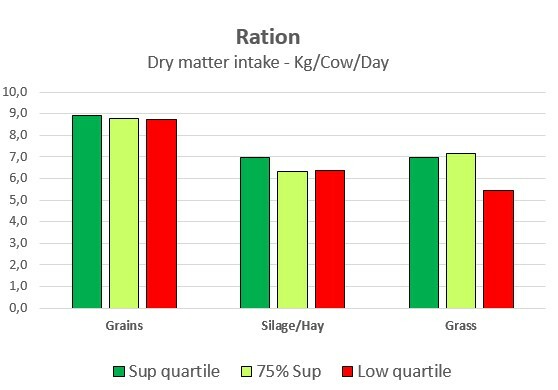 In the accompanying graph, we can see the farm distribution by use of pasture, as % of dry matter intake- by quartile. 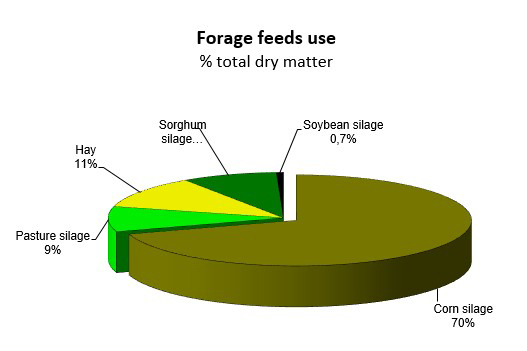 Quartile that uses less grass in the diets of their cows (21% of dry matter intake) corresponds to high stocking rate and replace direct grazing with forage reserves (38% of the DMI). In this group we find some dry lot type of systems (less than 3%). The increased use of concentrates (mostly corn, wheat bran, commercial balanced feed, soybean pellets and sunflower pellets) was influenced by the very good Grain: Milk relationship in recent years. This good relationship has shifted to a more expensive scenario that suggests more grass dependant business. The 3rd and 4th quartiles have increased pasture use in +33% for 2015/2016 period compared to 2012/2013.